After two years in beautiful Utah, the NickerNews herd has headed to Colorado! The decision was a tough one, mostly having to do with knowing we didn’t want to live out our lives in the Beehive State. Read more about that here. Our ties to Utah will remain strong: my partner, Steve Peters, will live there until he retires, several years from now. We picked a place that’s just a half-day’s drive from his work, so he will travel here regularly. I will return often enough, too. We chose Mancos, a small town in southwestern Colorado, near the Four Corners (where the borders of Arizona, New Mexico, Colorado, and Utah meet). Coming from the small town of Harpswell, Maine, it feels great, like returning to my roots. In towns like these, you get to know people and they get to know you. You feel your involvement might be appreciated and that folks are more accountable for their actions. Though its population is under 2,000, Mancos has a great bakery, a vibrant library, a brewery, and is home to many artists, artisans, and ranchers. The local package store (A “package store,” I’ve learned, is strictly New England vernacular. 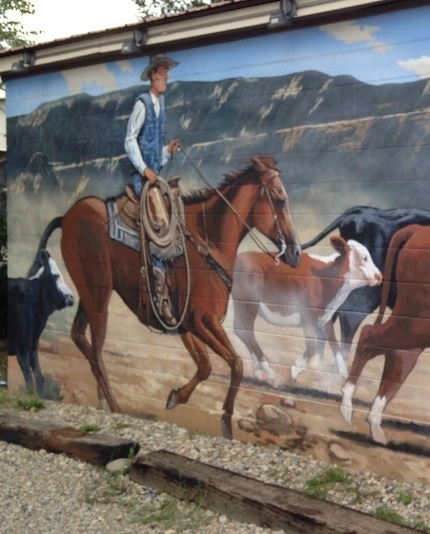 When I’ve asked, “where’s the packy?” locals replied, “Huh?”) has a beautiful mural of a cowboy moving cattle. The riding opportunities are tremendous. 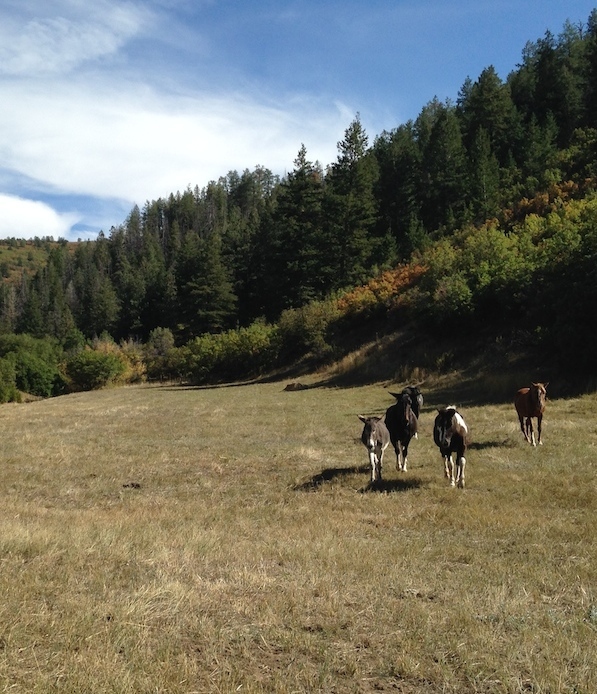 Our property borders public land and the San Juan National Forest has scores of trail heads within a short hauling distance. 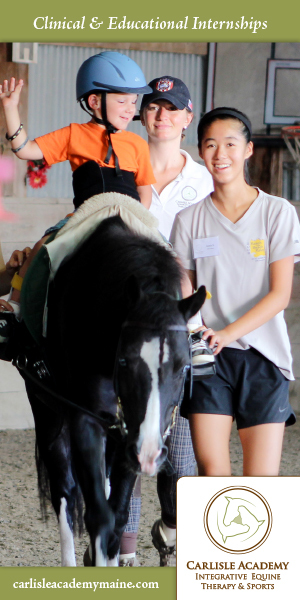 We moved five of our seven equines, leaving two for Steve to ride and care for. The five – Comet, Pep, Jolene, Shea, and Wallace – seem to love the new place. For the first time in two years, they have grass to graze and flat space to stretch their legs. Winters, admittedly, will be tougher and longer (elevation is 7,400 feet, 1,500 higher than our Utah place). Even in the summer, nights routinely dip into the 40s. I’ve dug out my long underwear, scarves, hats and coveralls for the coming winter. Here’s to putting down new roots, meeting new friends, and learning the lay of the land! Posted in On The Move, Reflections. Can’t wait to see and hear more of Colorado through your eyes and ears. Good luck in Mancos! I have heard wonderful things about the area. A couple from the Cache Valley area recently moved there, and are buidling a straw bale home. Sounds like a wonderful move for you. Best of luck, and will look forward to reading of your new adventures. Thanks, Claire! Do stay in touch! best wishes in you new home. hope you find some wild horses to photograph and write about! 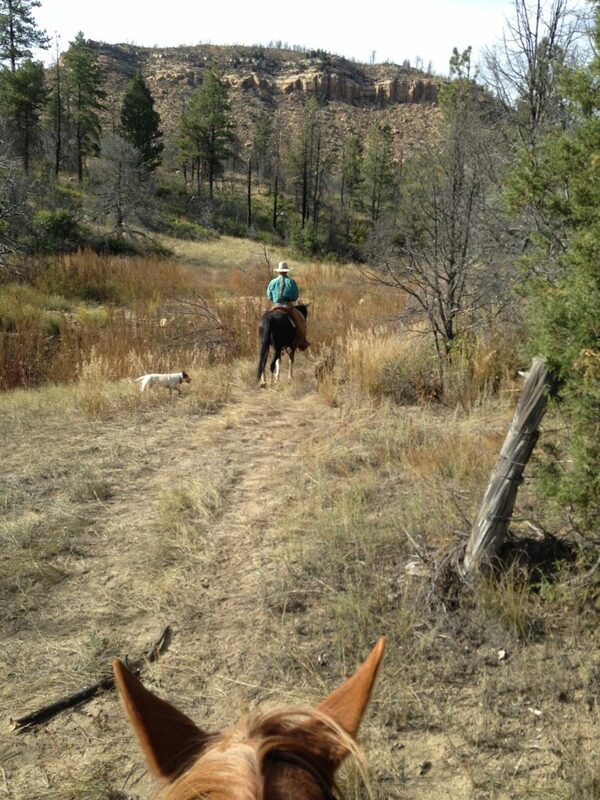 Oh my gosh — we bought my Rocky Mountain mare in Mancos and totally fell in love with the town! Currently we live in Temecula wine country where the wine and vines rule, trails, not so much any more. Mancos is one of the places we are considering to make a move to. Thank you for your frank comments about Utah, we had considered looking there but didn’t like all the development. I’m looking forward to you Scouting Mancos for us. Good move, good luck. So exciting. I love living vicariously thru your travels. Another horse friend on the move west to great riding. Sounds like a wonderful little town where you’ll be riding Shea down Main Street soon, if you haven’t already! Best wishes always. To new chapters and your happiness. Bravo and yeah Maddy! Hey Maddy, best to you and your beasties in your new home. This place was better with you in it. Best to Steve too. I’m sorry we had not been able to work together. I still think it’s a good idea though so maybe you can find another audio-type creative outlet. Thanks, Bob. Great to hear from you. I haven’t given up. You’ve been so kind and encouraging. Stay in touch!